[2014-2016] "Dubba, haven't you already tried some OIKOS greek frozen yogurt before?". You are correct, but that was from Dannon's parent company, Stonyfield, so the other OIKOS I tried was actually organic. Basically Dannon yogurt is their outlet for budget friendly, non-organic yogurt, so it's not really a stretch for them to also put this out. They've already got the tech, now they can just use more cost-effective ingredients. 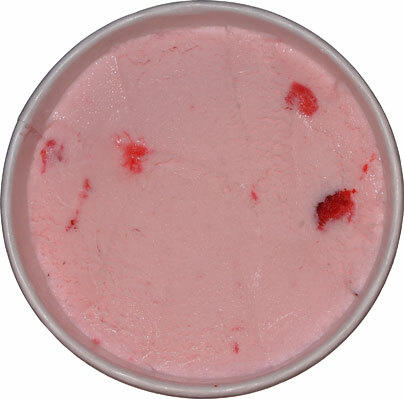 [this first scoop was a long time ago] It smells like fresh strawberries (no yogurt or tartness). It looks chalky.... and kinda tastes chalky... but there is a so-so amount of strawberry flavor which might save this one (plus it's not tart, oh boy!). hmmm, not sure how I feel about this one. I like the strawberry bit bunches. The texture is more of like frozen pudding or mousse though maybe I should let it temper (again, less annoying the yoplait). Whoa, 6 grams of protein? Nice. Low fat. Respectable calories. Even 20% calcium. Yeah, this will win over the healthy crowd for sure. Ingredient list is even fairly tame. On Second? Third? Seventh? Scoop: Ok, this one has been in the freezer since before Nick posted his double Dannon review and all I can really say is that it's not bad. I don't know how else to put it. I'm not driven to finish it, but I do snag a half a serving now and then when I want something frozen and not too crazy. 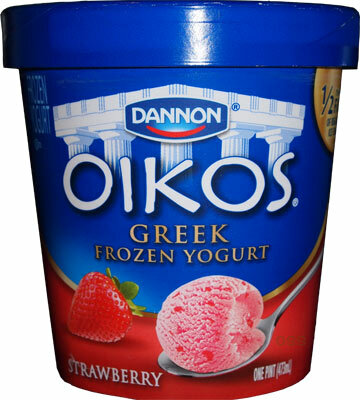 It's not tangy (positive), mild strawberry flavor (could be stronger, but it is what it is), texture is decent (for a greek froyo that is) and that's about it. Sure I'd love a bit more sweetness and a little more creaminess, but like I said before, 6g of protein and low fat, it does it's job and that's that. One Final Scoop: This pint continues to linger in my freezer. The problem is that it's less offensive then a lot of it's competition, but it just doesn't excite me, not even a little. 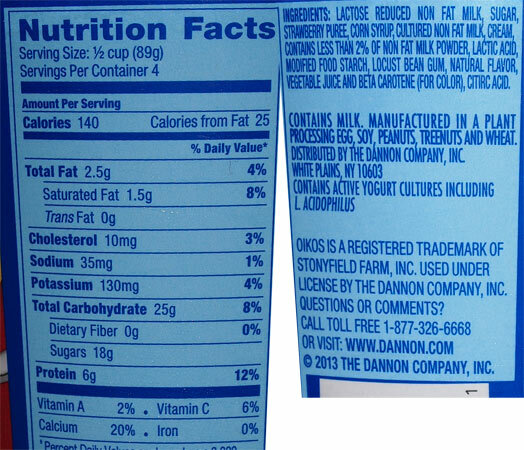 Considering Nick's reviews, that puts these Dannon flavors at 3 for 3 on being tame. I have such a sweet tooth that I just can't get in to this one. Some people will like it, but it's just too flat for me.